India, as with many other countries around the world, is engaged in a national debate about how to strike an appropriate balance between using data to drive the innovation economy and the imperative to protect the privacy of the country’s citizens. This is a topic that IBM’s Chairman, President and CEO, Ginni Rometty discussed with Prime Minister Narendra Modi when they met in February of this year. That conversation resulted in IBM proudly hosting the India Data Summit being held this week in Delhi – a one day event where 400 of India’s leading minds from the government and the private sector are coming together to discuss how to best harness and protect data. While there is a growing discussion over the lines between right and wrong in the ways data is collected, stored and analysed, data privacy is a matter that each country or region must address in its own way. 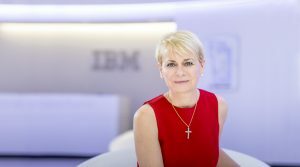 IBM has for decades followed a core set of principles – grounded in a commitment to trust and transparency – that guide its handling of client data, and the responsible deployment of new technologies. …on data ownership: at IBM, we view ourselves as “stewards” of client data and are actively encouraging other global technology companies to adopt broad commitments to responsibility and transparency, which we see as essential to preserving trust in the digital economy. On data privacy: we are fully committed to protecting the privacy of our clients’ data, which we believe is fundamental in a data-driven society. On data security: we believe in public-private partnerships to raise cybersecurity awareness and tackle current and future threats to data security. And on augmented intelligence: we support transparency and policies that help to ensure people understand how an AI system came to a given conclusion or recommendation. IBM is working with some of India’s most important companies to use cutting-edge data solutions to address the country’s most pressing challenges. Working with our clients in banking, telecommunications and healthcare, IBM is well-positioned to help support efforts to improve the health and economic well-being of India’s citizens. For example, we are working closely with the State Bank of India to support their ambitious digital transformation and drive greater financial inclusion for all Indian citizens. And given that cancer is the second leading cause of death in India, IBM is working with the Doctors at Manipal Hospitals who are using Watson for Oncology to help identify evidence-based cancer care options. To partner with clients and governments around the world requires trust. And when it comes to data, who you trust is critically important. We’ve recently started to hear terms like ‘bad tech’ used to describe some players in the broader tech industry whose business models are built around collecting as much data as possible and monetizing it for their own gain. I think it is important to distinguish these social platforms and e-commerce companies from the rest of the IT industry. For more than a century, clients worldwide have trusted IBM as a steward of their most valuable data. One area likely to be discussed at the India Data Summit is data localization. IBM’s global experience has taught us that rules that restrict the movement of data across borders or mandate that it be stored locally do little to make data more secure but can have a negative impact on the innovation economy. Certainly, the benefits of global cloud and AI technologies enabling a digitally-driven future can only be fully realised where there is a global free flow of data. Without that, everyone loses. If this century truly is the Indian Century, then the country’s continued growth and prosperity, and that of its technology industry, depends in large measure on the data policies that it adopts. IBM is proud to share our expertise as we, together with government, explore these important questions at today’s Summit.